There are few things more spectacular at a dinner party or special lunch than bringing a stunning layered dessert to the table to ooohs and ahhhs from your guests. Served in glass bowls, pretty colored layers just make you want to dig in with a big spoon. Hot on the heels of the naked cake phenomenon (stripping decoration back, and leaving the cake itself as the star attraction), retro layered desserts are enjoying a revival. Trifles, tiramisus and ice cream cakes are all hot topics for foodies and re-appearing on trendy restaurant menus. Youngsters are catching up to join the generation of die-hard trifle fans who never stopped loving their layered desserts. With both simple classics and more adventurous ideas for those who love to entertain, friends and family are in for such a treat with this gorgeous range of recipes. Desserts are organized into Classic Layers with favorites like Black Forest Terrine or Knickerbocker Glory to please the traditionalists. Next comes Fruity Layers, including delights like a Strawberry Shortcake Mousse and Peaches and a Cream Pavlova Stack. In Indulgent Layers are wonders like a Salted Caramel Layered Brownie Cheesecake and an Espresso Mousse Layer Cake. The Frozen Layers chapter includes fun Stripy Baked Alaska and Triple Ice Cream Cookie Sandwich. 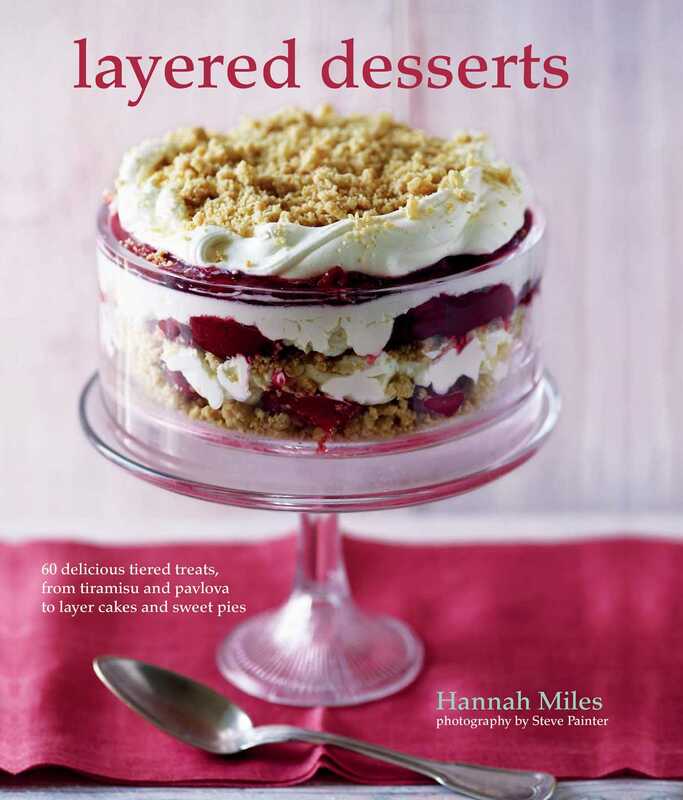 The Celebration Layers chapter is out to impress with an Ombre Layer Cake and Festive Spiced Winter Fruit Trifle. Finally, for the adventurous: Round the World Layers includes treats such as Greek Baklava or Jamaican Coconut Rum Mille-feuille.